The Twins and the Rays swapped former Midwest Leaguers in a two-player trade Saturday, as Minnesota sent shortstop Jermaine Palacios to Tampa Bay for RHP Jake Odorizzi. Palacios played for the Cedar Rapids Kernels in 2016 and the first half of the 2017 season. He batted .222 with 1 HR and 28 RBI in 71 games with the Kernels in 2016 before showing significant improvement in 2017, when he was a Midwest League All-Star. He batted .320 with 11 HR and 39 RBI in 62 games with the Kernels last year, and after being promoted to High-A, he batted .269 with 2 HR and 28 RBI in 62 games with the Fort Myers Miracle. Baseball America projects the 21-year-old shortstop as a potential utility infielder if he continues to make contact. Odorizzi pitched for the Wisconsin Timber Rattlers in 2010, going 7-3 with a 3.43 ERA, 135 strikeouts and 40 walks in 120.2 innings (23 games/20 starts). The Brewers traded him to the Royals the following offseason, in the six-player trade that sent Zack Greinke from Kansas City to Milwaukee. (Outfielder Lorenzo Cain, who recently signed a 5-year, $80 million deal with the Brewers, was also among the prospects Milwaukee sent to K.C. in that trade.) Odorizzi made his major-league debut for the Royals in September 2012 and was traded to the Rays three months later. In 2017, Odorizzi went 10-8 with a 4.14 ERA, 127 strikeouts and 61 walks in 143.1 innings/28 starts for the Rays. Baseball America projects him as the Twins’ No. 3 starting pitcher behind right-handers Ervin Santana and Jose Berrios after Santana returns from the finger surgery he underwent earlier this month. 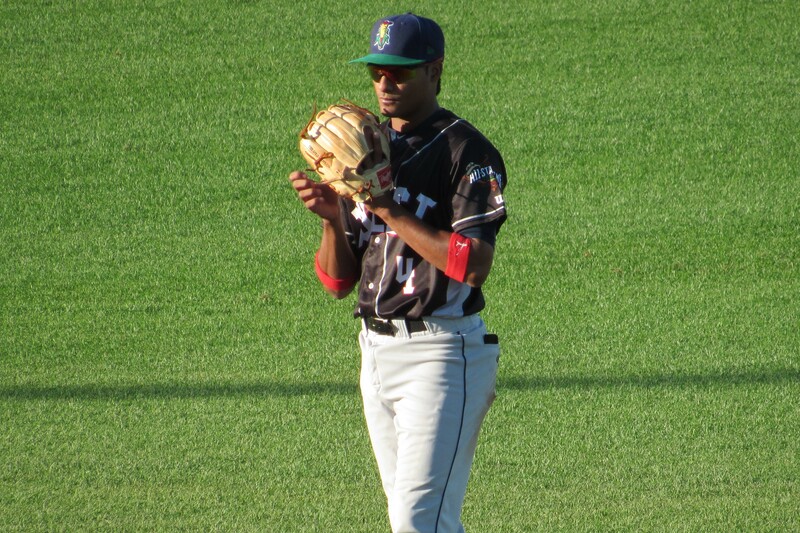 This entry was posted in 2017 All-Star Game, Cedar Rapids Kernels, Florida State League, Fort Myers Miracle, Midwest League, Wisconsin Timber Rattlers. Bookmark the permalink.